Fiat Ducato Peugeot Boxer Citroen Relay Bearing Kit Rear Wheel 1328029080. Fiat Ducato Sump Gasket 2.4L 2.5L Diesel 280 290 99488483. Fiat Ducato Sump Gasket 2.4L 2.5L Diesel TD 280 290 1982-1994. 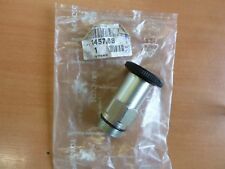 Fiat Ducato Peugeot Boxer Citroen Relay 250 OE Fuel Filter 2.2 HDI 1368128080. Peugeot Boxer, Citroen Relay With 1.9 And 2.5 Diesel And Turbo Diesel Engines. Peugeot J5 1991 1.9 Diesel Peugeot J5 1991 2.5 Diesel. Peugeot J5 1981 1.9 Diesel Peugeot J5 1981 2.5 Diesel. Peugeot J5 1982 1.9 Diesel Peugeot J5 1982 2.5 Diesel. Fiat Ducato 1981 1.8 Petrol Fiat Ducato 1981 2.0 Petrol. Fiat Ducato 1982 1.8 Petrol Fiat Ducato 1982 2.0 Petrol. Fiat Ducato 1983 1.8 Petrol Fiat Ducato 1983 2.0 Petrol. Fiat Ducato 1984 1.8 Petrol Fiat Ducato 1984 2.0 Petrol. Diesel Priming Pump. 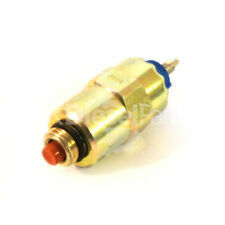 Peugeot Part Number: 1457.08. Peugeot RRP: £88.86. This part is no longer available from Peugeot and this is our last one ! Manufactured by QH (Quinton Hazell). Samba - all models - from 1981 to 1986. We are a family run motor factors in Midlothian, Scotland. We are always happy to help and give advice. We buy direct from Quinton Hazell, Firstline, Gates and Borg and Beck making us Midlothian's only authorised dealer of Quinton Hazell parts. TALBOT AVENGER 1.3 1.6 1973-1981. Previous owner paid £900 to Recon this pump. We willcheck andconfirm if the part iscorrect foryour specific model. Getting Wrong Part. R egistration Number. 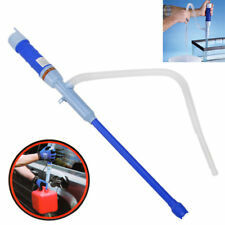 Check Our Extensive Range Of New Quality Products including. Photos are of the actual item. 1.8 and 1.9 XU Diesel Engines. Peugeot Citroen Part no:145708. Roto Diesel Type. 2.5 DIESEL AND CRD93 UNTIL DATE 01/01/1985. Samba - All models - from 1981 to 1986. We are a family run motor factors in Midlothian, Scotland. We are always happy to help and give advice. We buy direct from Quinton Hazell, Firstline, Gates and Borg and Beck making us Midlothian's only authorised dealer of Quinton Hazell parts. Talbot Alpine, Bagheera, Horizon. Bagheera 1.5 (6Y2) 197 – 1980. Simca 1000, 1100, 1200S, 1307, 1308, 1309, 1510. Simca models. Peugeot 205, 309. Petrol Fuel Pump. Talbot models. 309 1.1 (E1, E1A) 10/85 – 10/91. Sunbeam Talbot 90 (Mk1, Mk2, Mk2a & Mk3) (1947- 57). SUNBEAM TALBOT. Here's a newFuel Pump Repair Kit for the following models fromSunbeam Talbot -. This kit includes several different pump / block gaskets as it's used on lots of different cars. TALBOT SAMBA 51A 1.1 Fuel Pump 81 to 86 XW7 QH. TALBOT SAMBA (51A) 0.9 Hatchback Petrol 01/1981 12/1985 FWD 8 42 31. TALBOT SAMBA (51A) 1.1 Hatchback Petrol 01/1981 06/1986 FWD 8 50 37. TALBOT SAMBA (51A) 1.2 Rallye Hatchback Petrol 01/1983 10/1986 FWD 8 88 65. BX14 OHC (150A, 150C engines) 1982-88. Samba 1.0 (5C1 engine) 1982-86. Samba 1.1 (5A engine) 1982-86. Samba 1.4 (5K2 engine) 1982-85 models. C15 1.1 (109K engine) 1985-89. C15 1.4 (150D engine) 1986-89. Talbot Sunbeam 1.0 1977-1981. Channel Islands. We're sorry about that. We will need a full report detailing how the part has been diagnosed as faulty and without this letter we are unable to make any warranty claims. 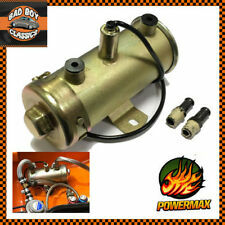 TALBOT MURENA 1.6 Fuel Pump 81 to 85 X5J2A QH. TALBOT MURENA 1.6 Coupe Petrol 08/1981 01/1985 RWD 8 90 66. TALBOT HORIZON 1.1 Hatchback Petrol 01/1979 09/1984 FWD 8 54 40. TALBOT HORIZON 1.1 Hatchback Petrol 01/1979 09/1984 FWD 8 58 43. TALBOT HORIZON 1.4 Fuel Pump 79 to 81 QH. TALBOT HORIZON 1.1 Hatchback Petrol 01/1979 09/1984 FWD 8 54 40. TALBOT HORIZON 1.1 Hatchback Petrol 01/1979 09/1984 FWD 8 58 43. TALBOT HORIZON 1.3 Hatchback Petrol 09/1981 06/1986 FWD 8 54 40. 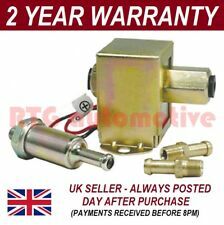 TALBOT HORIZON 1.3 Fuel Pump 78 to 86 QH. TALBOT HORIZON 1.1 Hatchback Petrol 01/1979 09/1984 FWD 8 54 40. TALBOT HORIZON 1.1 Hatchback Petrol 01/1979 09/1984 FWD 8 58 43. TALBOT HORIZON 1.3 Hatchback Petrol 09/1981 06/1986 FWD 8 54 40. TALBOT HORIZON 1.6 Fuel Pump 82 to 86 QH. TALBOT HORIZON 1.1 Hatchback Petrol 01/1979 09/1984 FWD 8 54 40. TALBOT HORIZON 1.1 Hatchback Petrol 01/1979 09/1984 FWD 8 58 43. TALBOT HORIZON 1.3 Hatchback Petrol 09/1981 06/1986 FWD 8 54 40. Manufacturer Part Number: FFP478. Application: Talbot Sunbeam 0.9 10/77-5/81. We are proud to distribute their huge range of products matching OE quality and specification. All First Line parts include a 12 month manufacturer warranty for your peace of mind. TALBOT HORIZON 1.1 Fuel Pump 79 to 84 QH. TALBOT HORIZON 1.1 Hatchback Petrol 01/1979 09/1984 FWD 8 54 40. TALBOT HORIZON 1.1 Hatchback Petrol 01/1979 09/1984 FWD 8 58 43. TALBOT HORIZON 1.3 Hatchback Petrol 09/1981 06/1986 FWD 8 54 40. Humber Sceptre, Sceptre H120 1966-1976 1500cc, 1725cc 4 Cylinder OHV 8v. Hillman Estate Wagon 1966-1970 1500cc 4 Cylinder OHV 8v. FUEL & OIL. Singer Gazelle VI 1966-1973 1500cc 4 Cylinder OHV 8v. Fuel and Oil. CITROEN C15. TALBOT 1307-1510. SOLARA HORIZON. for PEUGEOT 205. If you require more photos these can be supplied. Hillman Avenger (Including Sunbeam, Talbot, and Plymouth variation models) 1970-1981 1295cc, 1498cc, 1598cc 4 Cylinder OHV. FUEL & OIL. Fuel and Oil. Brake & Clutch. GENERAL INFO. grid item 25. grid item 24. HILLMAN AVENGER 1300 1600 (73-82). SUNBEAM TALBOT 1300 1600 (77-82). Manufactured by QH (Quinton Hazell). Alpine - 1. 6 - 1975 to 1986. Solara - 1. 6 - from 1980 to 1984. Horizon -1. 6 - from 1977 to 1986. We are a family run motor factors in Midlothian, Scotland. 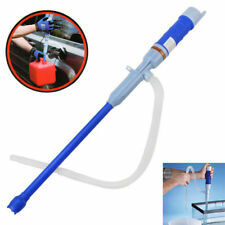 Petrol pump repair kit for the AC Delco UG & UE type manual pump. TALBOT SUNBEAM RAPIER H 120 1975-1976. TALBOT HUMBER SCEPTRE 1975-1976. TALBOT HILLMAN HUNTER GT 1975-1978. Seat Ibiza I/Malaga (021A/023A). OEM comparison number: 251906091. VW TRANSPORTER T3. Fuel pump 38VW0007. NISSAN SKYLINE. Repair Kit Rep. Set gasket set Solex carburetor VW Beetle Solex 30 31 34 PICTEUR 15,95. Priming Pump. If you require more photos these can be supplied. IVECO DAILY. FIAT DUCATO/TALENTO. DIESEL 2.4 D/TD, 2.5D/TD, 2.8D/TD. CITROEN C25. PEUGEOT J5. 4764289, 4830098. OE/OEM NUMBER. Chysler/Talbot Alpine 1.3, 1.5, 1.6 1975-on. Chrysler/Talbot Horizon 1.1, 1.3, 1.5 1978-on. Channel Islands. We're sorry about that. We will need a full report detailing how the part has been diagnosed as faulty and without this letter we are unable to make any warranty claims.